The Erie-Builts were Fairbanks Morse's first cab design it ever cataloged. 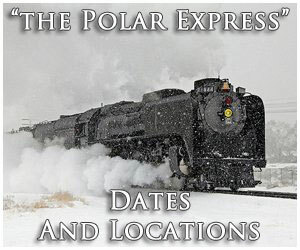 They were meant for use in passenger service and compete primarily against Electro-Motive's successful E series as well as Alco's beautiful PA. When released right after World War II Fairbanks Morse worked incredibly hard to market a passenger model that could effectively hold its own with the leading manufacturers. 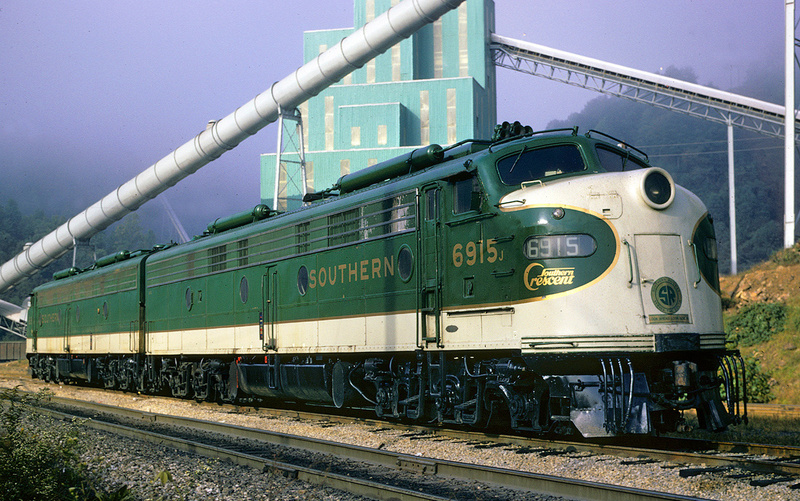 Incredibly, in spite of this effort the FM never really gave the locomotive a formal name and it was simply referred to by the location where the locomotive was built, General Electric's plant in Erie, Pennsylvania. Fairbanks Morse did make several initial sales with the Erie-Built, which was actually an elegant design but overall failed to truly compete against EMD. Fairbanks Morse's cab models basically all carried a similar appearance, not unlike Alco's FA and PA. As was the case with other two builders FM introduced its cab line to compete with Electro-Motive's highly successful E and F series; the first of these models was known simply as the "Erie-Built" because the carbody, as previously mentioned, was manufactured by General Electric at its Erie, Pennsylvania plant. 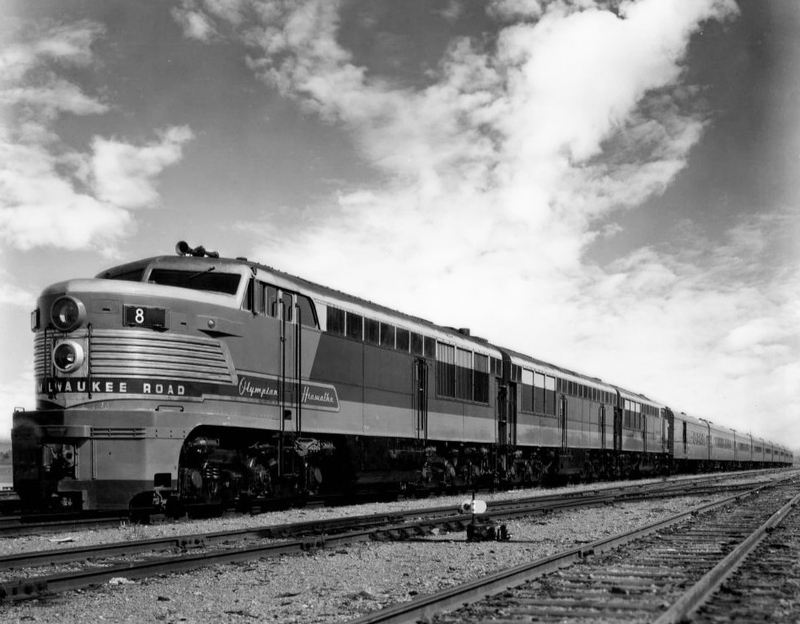 In 1950, however, the company introduced a formal line of passenger units known as the “Consolidated Line,” commonly referred today as C-Liners. These models were available in three different horsepower variations of 1,600 hp, 2,000 hp and 2,400 hp. The Erie-Builts began production in December of 1945; they featured a look somewhat similar to the PA in that it sported a long, graceful nose ahead of the cab with a sweeping, streamlined body. 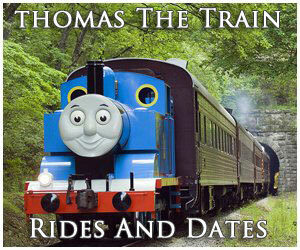 Overall, it was a very classy and elegant locomotive. The Erie-Builts utilized an A1A-A1A truck setup (meaning the two outside axles were powered while the inside was not) and produced a hearty 2,000 horsepower equipped with the builder's 2-cycle 38D8 1/8 opposed-piston prime mover (FM became legendary for the power these engines could produce). With a tractive effort of 55,000 pounds starting and 27,500 pounds continuous the Erie-Built offered slightly less than EMD's E7. 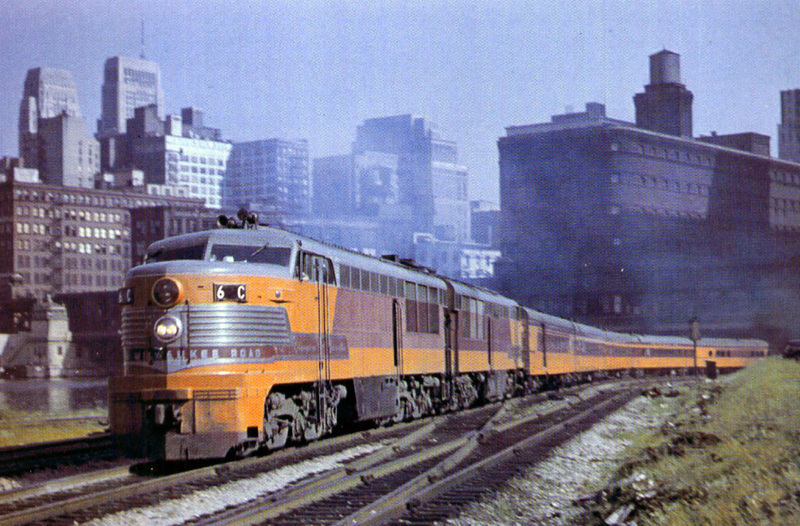 Aesthetically, some of the best remembered Erie-Builts were those constructed for the Milwaukee Road. Manufactured between December of 1945 and March of 1947 the locomotives powered the famous Olympian Hiawatha between Chicago and the Pacific Coast at Seattle. 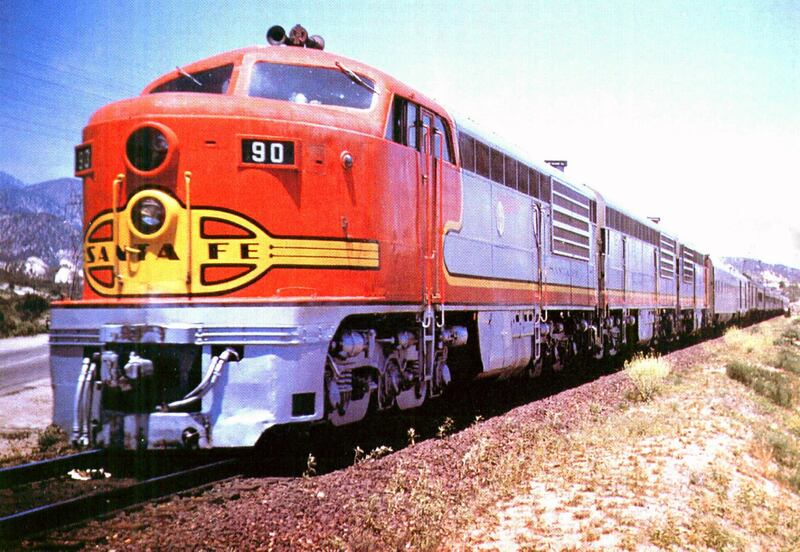 They were clad in Milwaukee’s beautiful two-tone red/orange livery with chrome plating around the nose with Olympian Hiawatha included just under each side the cab. It was a very elegant, albeit brief look. Surprisingly, the Erie-Builts sold relatively well (by Fairbanks Morse standards anyway) with 111 units outshopped by the time the builder had ceased construction in April of 1949. 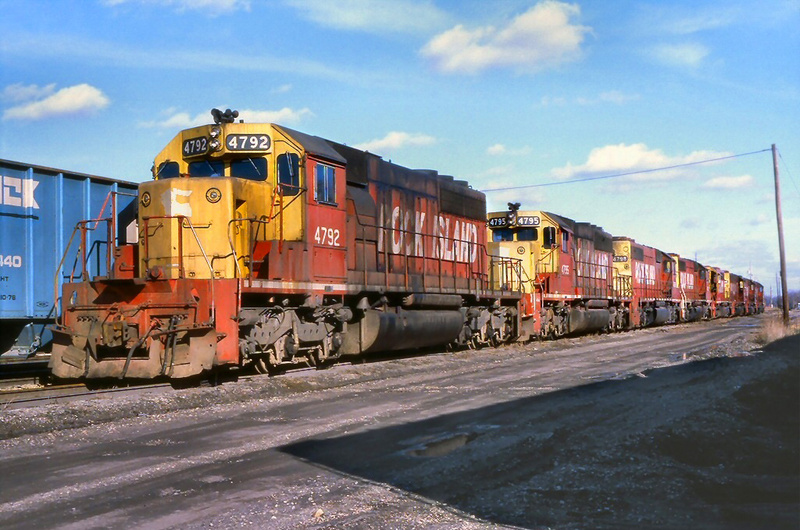 In all, seven Class Is purchased the diesel including the Santa Fe, Chicago & North Western, Milwaukee Road, New York Central, Kansas City Southern, Pennsylvania, and Union Pacific. The Canadian roads never did bite on the design and as such no orders were taken through subsidiary Canadian Locomotive Works. 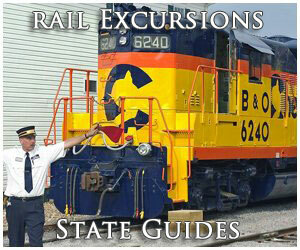 For technical information regarding the Erie-Builts please click here. The later C-Liners were a bit unorthodox as passenger locomotives with an odd B-A1A truck arrangement resulting in very few railroads purchasing it. 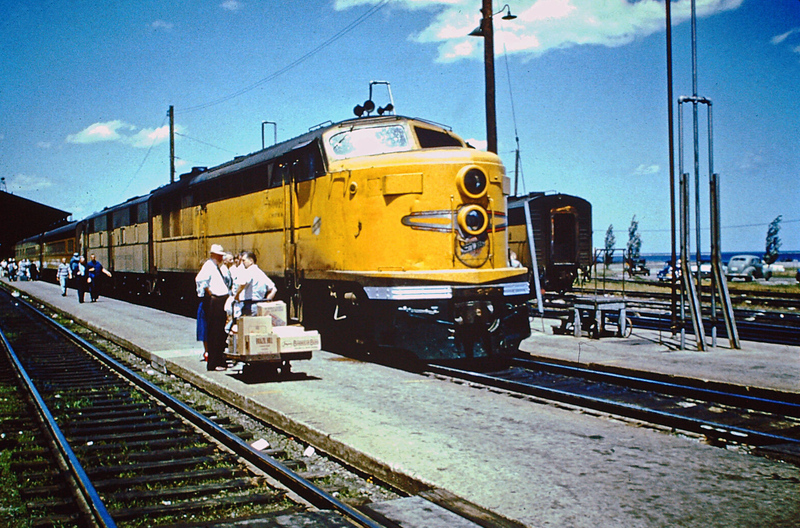 The freight model, offered in a range of horsepower ratings, did a little better but in the end, FM gave up on the cab design altogether by 1953. Today, no Erie-Builts are known to survive. 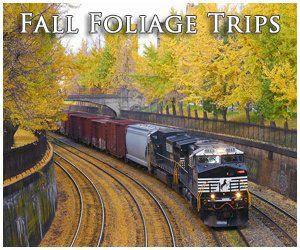 However, a piece of this unique model lives on in Doyle McCormack's restored Alco PA #190. 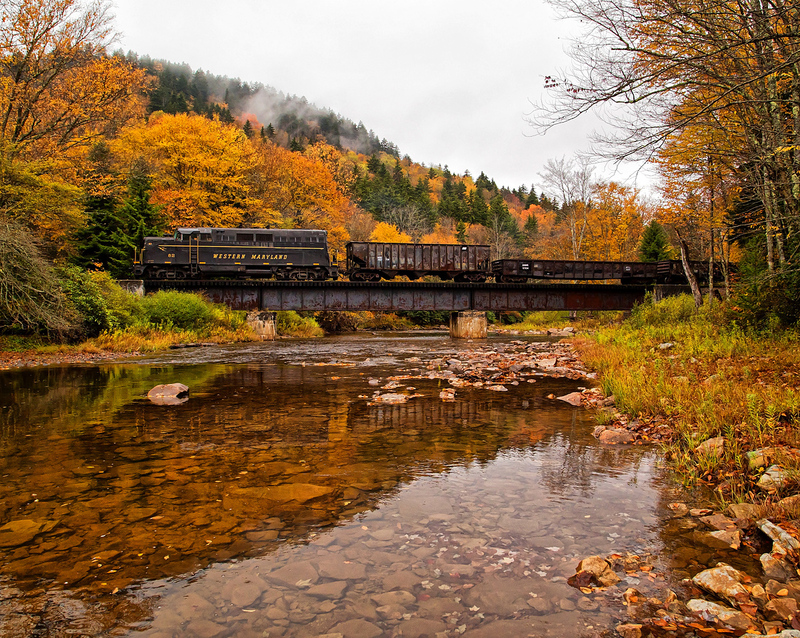 The unit's trucks (designed by General Steel Castings) were salvaged for the restoration as they came from a scrapped Erie-Built, which had been converted for use by the Canadian Pacific in rail trains to lay continuous welded rail (CWR). Today, that PA is once again operational.